It is more awesome than I thought it would be. It has music, narration and dialogue. Now, I can turn on the old iPod and hear Jeremiah and Bear Claw talking over the spit. Never fear, all of this great stuff has already been uploaded onto the iPod. The liner notes are also cool and contain details about the people who were involved in the making of the film. There is one part of it that I found very interesting. Some of the people involved felt that Robert Redford played the character in too spiritual of a fashion, and that is something that I have also felt. A mountain man had a job to do, and that job was to kill animals for large fur companies. They were not there to become one with nature. 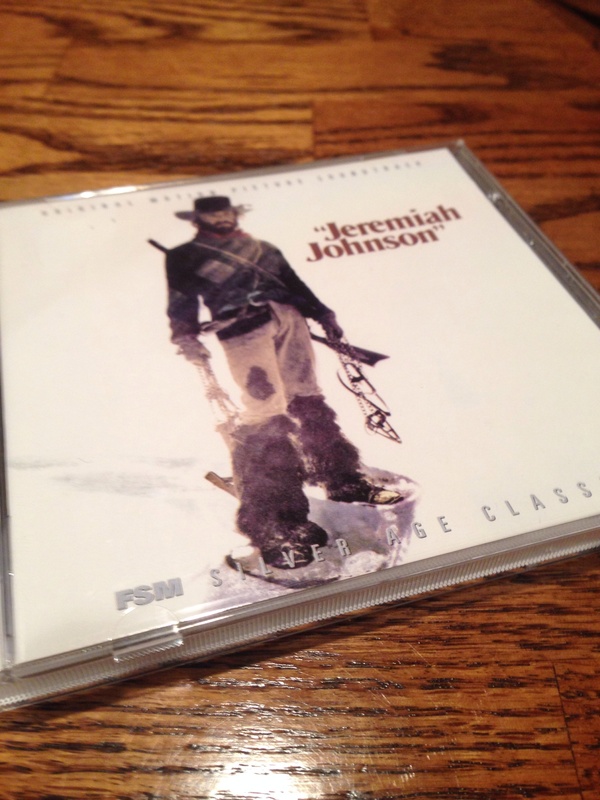 In Jeremiah Johnson, the main character does a lot of soul-searching and little trapping. He was also a loner, and, from what I have read, mountain men worked in groups. I have also read that the character of Jeremiah Johnson was based on John “Liver-Eating” Johnson, a mountain man who killed Native Americans to avenge the murder of his wife. As the story goes, he cut out and ate the liver of everyone he killed. The real Johnson is buried in Cody, Wyoming, and, when I was a kid, we visited his gravesite. This is one of our favorites. Garry especially. Maybe Jeremiah Johnson didn’t have a “become one with nature” epiphany, but Robert Redford did. This is what inspired him to buy Sundance and take up ranching etc. etc. The movie was a personal turning point for him. He fell in love and never fell out. Print the legend! I envy you that soundtrack! It definitely helped Redford fall in love with the land. I’m thinking he may have already owned some of the filming locations. I forgot to mention that the Judith River mentioned in the movie is real. It’s in Montana. Garry is better with the timeline than I am. I know Redford ranch was used for a bunch of movies since and when Redford makes a western, he rides his own horses. Trains them, too.” Did all his own riding (or so I understand) on “Electric Horseman.” Was a very good rider. I expect not any more. He’s pretty long in the tooth these days. The music IS great. They have a free App for YouTube whereby you can download sound (not all permit it) from their videos (MP3) – and it sounds good to me. Pollack and Redford had a heck of time making that movie as it was one of the most brutal winters in quite a while up there in the mountains. But the studio had initially wanted them to film it on the back lot. Really!! Redford said NO. I had initially challenged Redford in the casting as Johnson – thot they outta find somebody more rugged. But he does a great job. Yep …. It’s a classic. Thanks for the reblog. At first, a more rugged actor would seem appropriate. In fact, I read the Clint Eastwood was the first choice. However, I can’t imagine anyone besides Redford being Jeremiah Johnson. Reblogged this on Septian Online. Just catching up to this one. “Johnson” is one of my favorite westerns. Think it may be a little underrated coming early in Redford’s career when many still considered him just a pretty face. The Redford-Pollack team was just coming into its own. I absolutely loved Tim McIntire’s music. Son of veteran character actors John McIntire and Janette Nolan, Tim died way too young. Tim worked again with Redford in “Brubaker” in an acting role. “Jeremiah Johnson” is a gritty film that still works. It’s one of my favorites. I think Westerns like this one get overlooked because they aren’t “cowboy” movies. Teaching history, I get a lot of surprised looks when I say that not everyone in the West wore cowboy hats.